Sharp Insight is proud to partner with a wide range of mission-driven organizations. We support diverse evaluation initiatives at the national, regional, and community levels. To learn more about our current and former engagements, scroll through our client listing below. Advocates for Youth has engaged Sharp Insight to serve as the lead external evaluator for four, federally funded initiatives awarded to their organization. Sharp Insight served as the lead external evaluators for three CDC-funded initiatives, PS13-1308 and 1603, focused on: increasing community capacity for implementing CDC-developed school-based approaches to sexual health education; increasing state education agency capacity to provide exemplary sexual health education; increasing HIV/STI prevention specifically among adolescent sexual minority males. Sharp Insight also previously served as the lead external evaluator for a two-year Teen Pregnancy Prevention (TPP) cooperative agreement awarded to Advocates for youth by the U.S. Office on Adolescent Health. Be Strong Families engaged Sharp Insight to research and develop an evaluation tool and protocol for their Journey to Vitality program that combines empowered engagement and peer-to-peer support systems to help individuals improve their health and well-being. The American Association of School Administrators (AASA) engaged Sharp Insight to provide a follow-up evaluation of a Medicaid and Children’s Health Insurance Program (CHIP) initiative supported by the Center for Medicare and Medicaid Services and United Health Care. Sharp Insight developed moderator guides, implemented structured meetings during school district site visits with AASA, and summarized key findings and lessons learned from the initiative. The Center for Adoption Support and Education (CASE) engaged Sharp Insight to build and refine data management and reporting systems, inclusive of data integration protocols and data visualizations. 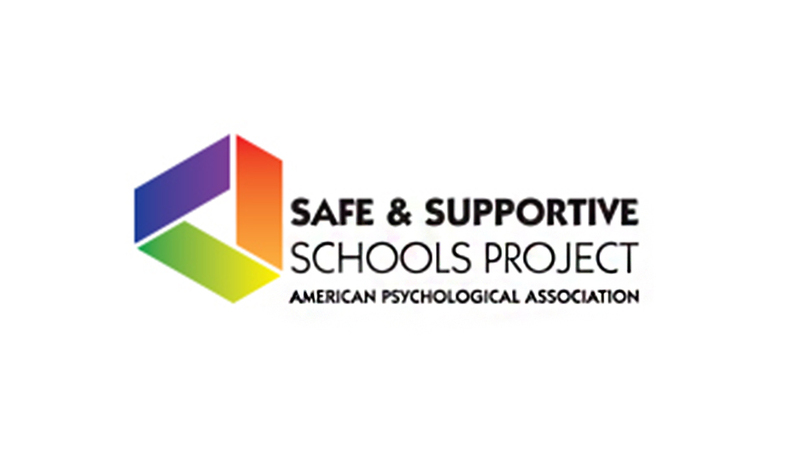 The American Psychological Association engaged Sharp Insight to serve as the lead external evaluator for the CDC/DASH PS13-1308 initiative, the Safe and Supportive Schools Project. In addition to the evaluation of key performance measures, Sharp Insight has designed, implemented, and reported on the evaluation of the in-person and online Respect Workshop: Preventing Risks and Promoting Healthy Outcomes among LGBTQ Students. Additionally, Sharp Insight is researching and developing the content for a toolkit focused on parent engagement resources to support adolescent HIV/STD prevention. The Central Conference of American Rabbis engaged Sharp Insight on research projects focused on enhancing its member support services. Using a blend of quantitative and qualitative methods, Sharp Insight supported the CCAR in understanding the perceived impact of existing support services on the personal and professional lives of rabbis as well as informing the CCAR of the services most needed and desired by its membership. The Asthma and Allergy Foundation of America (AAFA) engaged Sharp Insight to analyze data and report findings from a pilot training program related to patient-centered outcome research. 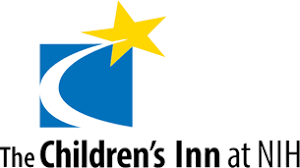 The Children’s Inn at NIH engaged Sharp Insight to increase the evaluation capacity of their staff through on-site training and department-level consultations. CustomED engaged Sharp Insight to lead a research project designed to deepen stakeholder understanding of a national program’s value proposition. Key methodologies included document review and in-depth interviews. MMS Education has engaged Sharp Insight as a subcontractor to support evaluation efforts on a variety of youth development initiatives. Sharp Insight has led quantitative and qualitative evaluation engagements, including, but not limited to: the development of logical frameworks and evaluation plans; literature reviews; survey design, statistical analyses, and reporting; in-depth interview series; and virtual and in-person focus groups. With funding from the Centers for Disease Control and Prevention Division of Population Health School Health Branch, the National Association of Chronic Disease Directors (NACDD) engaged Sharp Insight to provide the research for all 50 states included in the State School Health Policy Matrix 2.0. This Matrix is a comprehensive guide to state-level school health policies for the following topics: competitive foods and beverages, physical education and physical activity, and administration of medication in the school environment. It outlines relevant state-level policies for each of these areas, including a direct link to the policy. NEA Healthy Futures engaged Sharp Insight in a variety of projects focused on the intersection of schools and health. Sharp Insight led the content development, supported an advisory team, and managed the following two video projects for school employees: Managing Severe Allergies: Keeping Kids Safe and Clean Schools, Healthy Schools. Sharp Insight also supported a series of research projects and presentations focused on School Employee Wellness. 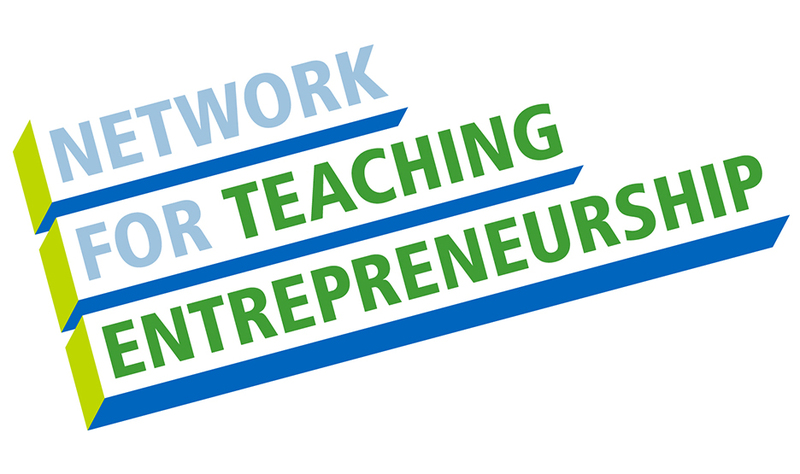 The Network For Teaching Entrepreneurship (NFTE) engaged Sharp Insight to evaluate a pilot program for middle school students in the Washington, DC Region. The methodologies included performance measures, focus groups, and classroom observations, among others. ProInspire partnered with Sharp Insight on the evaluation of the ProInspire Leadership Institute. Working with an internal evaluation team at ProInspire, Sharp Insight developed an Evaluation Toolkit with instruments and protocols, provided capacity building around data collection, and provided data analysis and reporting of the annual findings from multiple cohorts of the Leadership Institute. The School-Based Health Alliance engaged Sharp Insight to work with two communities on the evaluation of distinct approaches to increase capacity to implement strategies for reducing HIV and other STDs among adolescents. ASP Kids engaged Sharp Insight to support two 21st Century Community Learning Centers in Baltimore, Maryland. 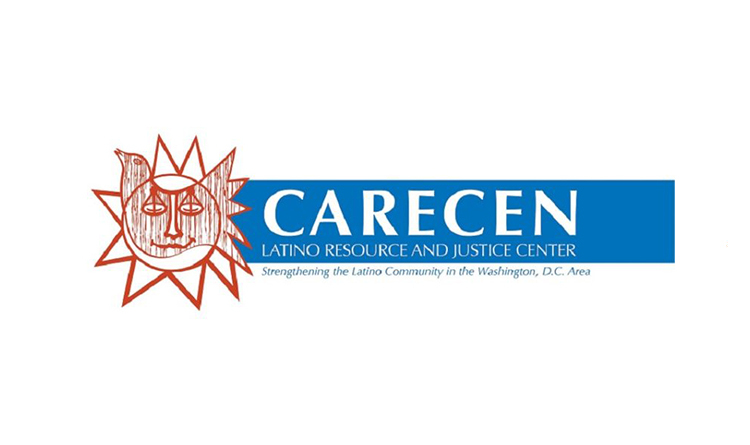 CARECEN (Central American Resource Center) engaged Sharp Insight to work closely with the leadership to develop an organization-wide logic model and departmental evaluation plans. As part of this engagement, Sharp Insight provided capacity building on logic models and evaluation. 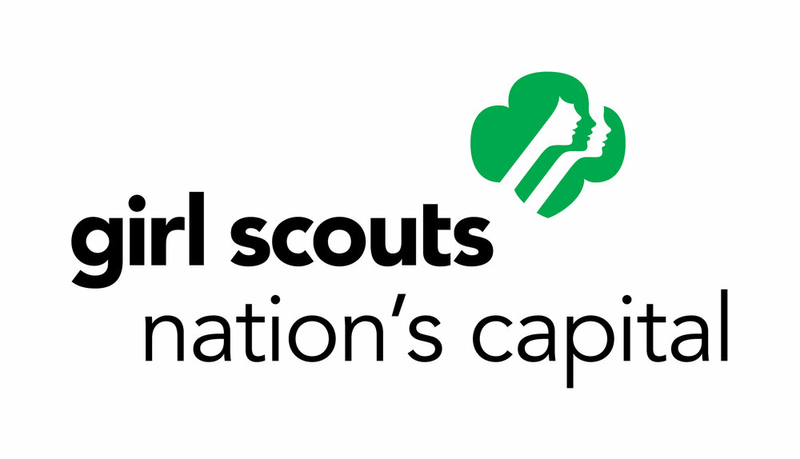 The Girl Scout Council of the Nation’s Capital (GSCNC) engaged Sharp Insight on a Focus Group Initiative. This initiative involved the development of a focus group guide and toolkit, the implementation of a comprehensive focus group training for staff, and support with theming, analyzing, and reporting the focus group data. The Latin American Youth Center (LAYC) engaged Sharp Insight to serve as its external evaluator for its 21st Century Community Learning Center funded through the District of Columbia Office of the State Superintendent of Education. Key activities included the completion of a DCPS Research Request, development of an evaluation plan and tools, and implementation of key informant interviews. The Maryland Out of School Time Network (MOST) engaged Sharp Insight to conduct a social return on investment for out of school time programming in Maryland and develop a summary document that communicates the key findings. Expanding Opportunities, Improving Lives: Maryland’s Out of School Time Programs highlights key messages and provides out of school time advocates with a tool for promoting out of school time programming throughout the state of Maryland. MDBio Foundation engaged Sharp Insight to facilitate a program quality workshop for their staff supporting programming in Maryland and Texas. The Meyer Foundation engaged Sharp Insight to serve as a thought partner and facilitator in a collaborative process to refine their theory of change. Montgomery Coalition for Adult English Literacy (MCAEL) engaged Sharp Insight to clean, code, analyze and present data from four fiscal years. The data represent thousands of individual students and hundreds of English language classes taught in Montgomery County, Maryland, by MCAEL’s grant-funded organizations. The Montgomery County Collaboration Council has partnered with Sharp Insight on a variety of engagements related to youth program quality. On behalf of their Excel Beyond the Bell initiative, Sharp Insight has provided Youth Program Quality Intervention (YPQI) assessments, coaching, and methods trainings, as guided by the Weikart Center for Youth Program Quality. Additionally, Sharp Insight served as the lead external evaluator for the Collaboration Council’s 21st Century Community Learning Center, which involves a comprehensive evaluation plan, evaluation toolkit development, site visits, trainings, and reporting. Finally, Sharp Insight supports evaluation efforts related to Core Competencies for Youth Development Practitioners as well as other professional development opportunities for the Collaboration Council’s beneficiaries. Montgomery Housing Partnership engaged Sharp Insight to evaluate their 21st Century Community Learning Centers in Montgomery County, Maryland. Nonprofit Montgomery engaged Sharp Insight to co-develop and facilitate a course to strengthen the evaluation capacity of nonprofit leaders in Montgomery County, Maryland. Titled MORE: Metrics, Outcomes, and Responsible Evaluation, the course includes a 1.5 day training, evaluation coaching, and a booster session. The objectives of the course center on supporting the six steps in program evaluation, engaging in meaningful evaluation dialogue with Montgomery County leaders, and strengthening a customized evaluation tool to specifically meet the needs of each participating organization. On behalf of the Nonprofit Roundtable of Greater Washington, Sharp Insight led the external evaluation of two programs: Financial Reporting and Management Institute (FIRM) and Future Executive Director (ED) Fellowship Programs. Sharp Insight worked with the program staff to refine and implement program evaluation methodologies, which included surveys and in-depth discussion groups, as well as provide analysis and reporting. The Trawick Foundation engaged Sharp Insight to support a focus group initiative for a TeamUp grant, the Neelsville Middle School uKnight Project. The University of Maryland, School of Public Health partnered with Sharp Insight on a research from a pregnancy prevention model in six high schools. Sharp Insight served as the primary project liaison, provided ongoing guidance/supervision of doctoral students’ data analysis, developed two internal reports, and co-authored a manuscript. Beacon House engaged Sharp Insight to create a streamlined approach to data collection, inclusive of consent forms and protocols to support data sharing across multiple local education agencies. Capitol Hill Village engaged Sharp Insight to develop an evaluation plan in support of its mission, to sustain and enrich the community of Capitol Hill to support long life and independence of community members. The plan represented Capitol Hill Village’s diverse stakeholders and includes formative, process, and outcome evaluation. Caring Matters engaged Sharp Insight in a focus group series to assist in the organization’s renaming process. Additionally, Sharp Insight supported a program planning process with a group of community-based organizations seeking to partner on a local initiative. Sharp Insight participated in a series of meetings to develop the program’s logical framework and refine the partnership model. Chess Challenge in DC partnered with Sharp Insight to develop an Evaluation Roadmap for the organization. Through this process, Sharp Insight supported the capacity building of its leadership through a customized evaluation training. DC SCORES enagged Sharp Insight to serve as its external evaluator for its 21st Century Community Learning Center funded through the District of Columbia Office of the State Superintendent of Education. For this effort, Sharp Insight completed a DCPS Research Request, modified the initiative’s evaluation plan and tools, and will be conducting annual site visits, analyses and reporting for the initiative. DC SCORES also partnered with Sharp Insight on an Evaluation Roadmap Project, which centered on the development of a customized, two-year process and outcome evaluation plan for their organization. Ultimately, DC SCORES was able to use the final iteration of the Evaluation Roadmap to secure multi-year funding to support its implementation. Identity engaged Sharp Insight to serve as its external evaluator for two 21st Century Community Learning Centers funded through the Maryland State Department of Education. Programming takes place at three middle schools in Montgomery County, Maryland, and the evaluation activities have included staff training, bilingual survey administration, site visits, steering committee meeting presentations, and annual reporting. In addition, Sharp Insight had the privilege of conducting additional research for Identity related to Adverse Childhood Experiences (ACEs). Medical Education Resources Initiative for Teens (MERIT) engaged Sharp Insight to serve as the external evaluation partner for their 21st Century Community Learning Center funded through the Maryland State Department of Education. Sharp Insight has supported refinements to the program evaluation plan and tools, program observation, data analysis, and annual reporting. Formerly Metro TeenAIDS, now a part of Whitman-Walker Health, partnered with Sharp Insight on a variety of engagements. Sharp Insight focused efforts on two key transition pieces, including the development and launching (through third party review) of their Wikipedia site and the legacy piece Is It Time To Close?, which documents the difficult and emotional process to join forces with a community health provider. From 2013 – 2015, Sharp Insight supported their Schools Team in various programmatic and evaluation contexts and conducted trainings including: Program Fidelity; Facilitating for Success; Youth Development Frameworks for Facilitators; Becoming A Principal Investigator; and Data Integrity, Security, and Management. Park Heights Renaissance engaged Sharp Insight to lead a customized professional development training for educators on quality out-of-school time programming.